I immediately thought of an idea for a story and went home and wrote it. I then submitted it to a publishing company. What I was really looking for was acknowledgement that someone opened my letter and glanced at my five pages of dreck and responded with a form letter suggesting I burn my keyboard and take up roofing again. Most submissions take about 10 – 15 weeks to get processed. 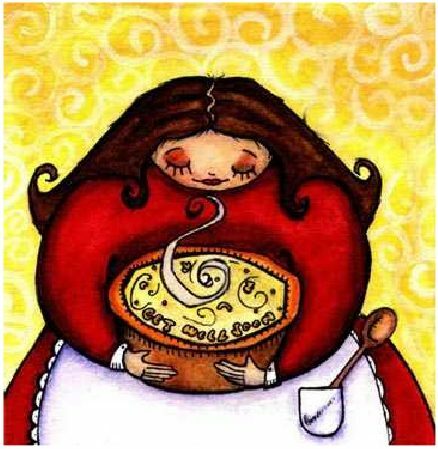 As of yesterday, it had been almost 30 weeks and I kept telling myself that I had forgotten about it. 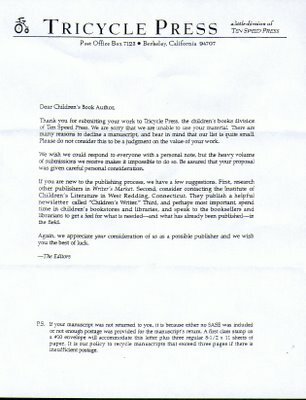 Yesterday, I got a letter from Tricycle Press, the children’s book division of Ten Speed Press. A form letter. 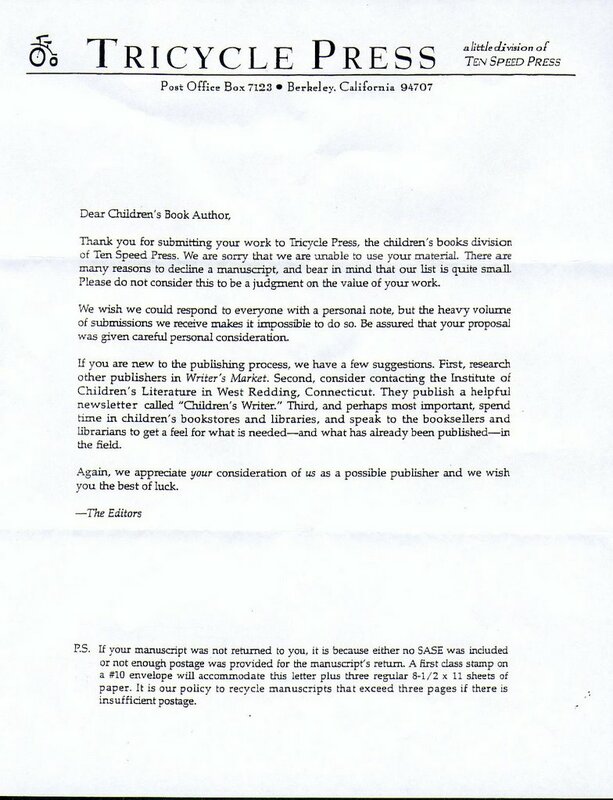 A rejection letter. I then went back to re-read my story and oh boy… it could use a bit of editing. I’ll change Lala’s name (though she will always be Lala to me) and beef up a bit of the story. Perhaps I will change the part where Lala receives second degree burns from hugging a pot of steaming, hot soup. Tell them you already have a sale. Check OSC's site @ hatrack.com; he's got some good tips on dealing with publishers. You got a second sell with me!